Completely re-worked A-Class with new petrol engines. Excellent infotainment and tech. Luxurious interior. Improved ride quality. 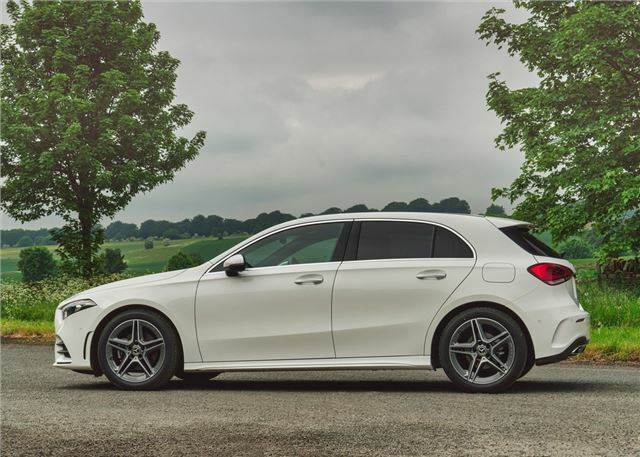 The Mercedes-Benz A-Class has always lagged behind rivals such as the BMW 1 Series and Audi A3. 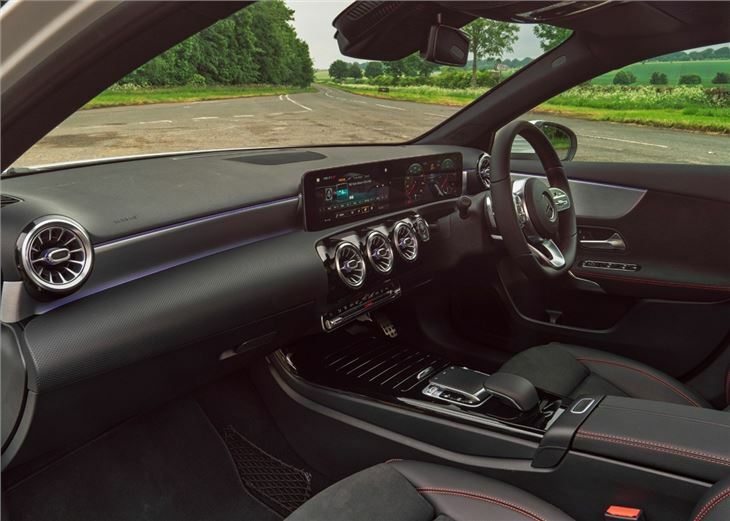 But this model, launched in 2018, combines an upmarket interior with sophisticated semi-autonomous technology and a drive that's potentially the best in class. The cabin quality is enhanced with more soft touch materials while the design echoes the latest E-Class. The dashboard is dominated by twin HD displays that - depending on spec - will measure between seven and 10.25 inches apiece. Like Audi’s virtual cockpit system, the driver gets a digital instrument binnacle that can be customised to show navigation directions, traffic reports and in-car settings. 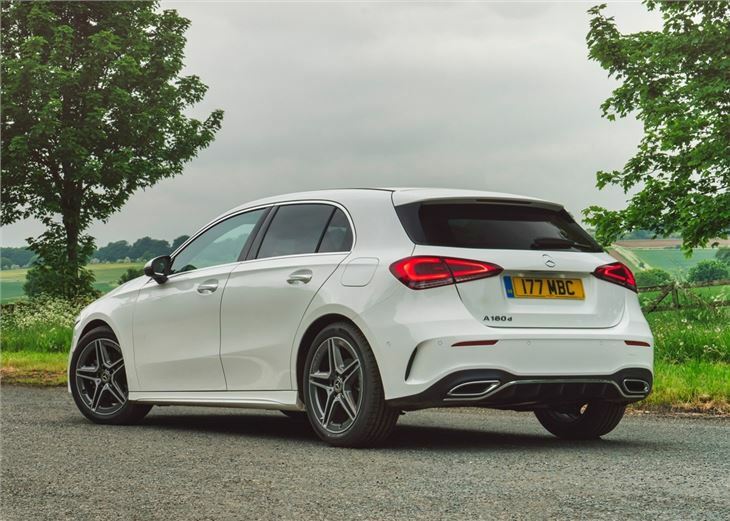 The A-Class is more practical, too, with 370 litres of bootspace - more than both the Audi A3 and BMW 1 Series when the rear seats are in place. Ride quality and comfort is better than before, even on 19-inch wheels, thanks to the 30mm longer wheelbase and reworked multi-link rear suspension. 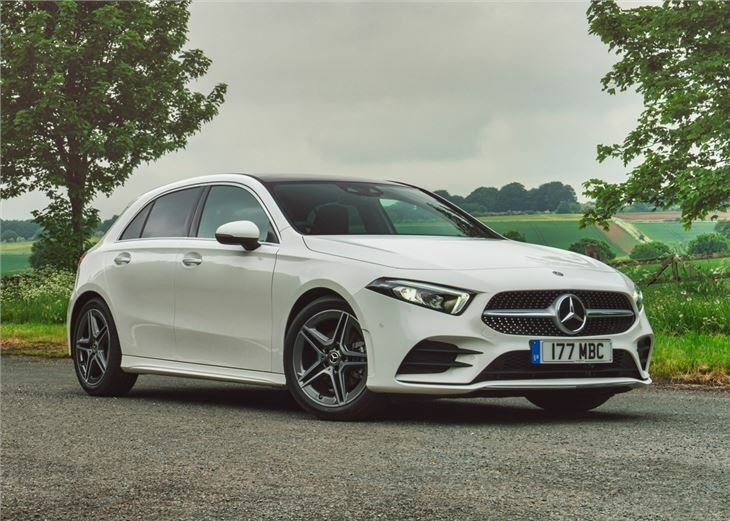 Mercedes-Benz promises affordable fuel costs too, with the A180d 116PS diesel returning an official 68.8mpg and 108g/km of CO2. 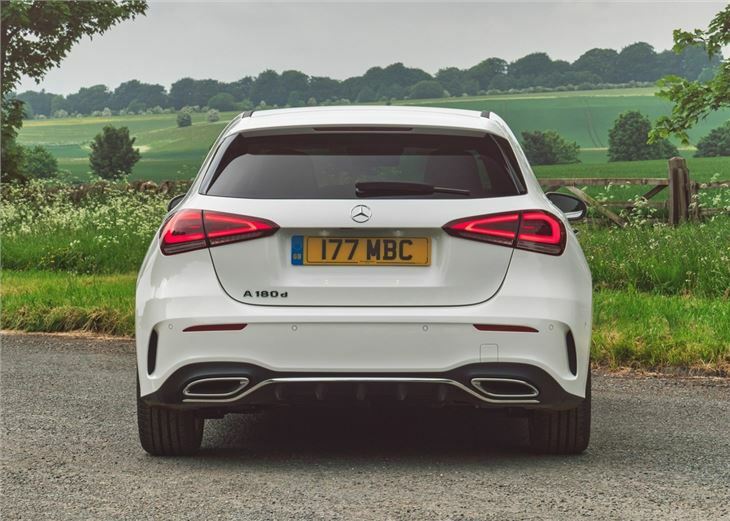 Given the backlash against diesels, petrol power is far more prominent in the A-Class than before, despite most sales of the previous model going to the A180d. A new 1.3-litre engine features cylinder deactivation tech that saves fuel by switching from four to two-cylinders under light loads. The entry-level 1.3-litre unit is the only engine to get a manual gearbox and produces 163PS with an advertised 55mpg. The 2.0-litre 224PS petrol - linked to a more substantial seven-speed dual clutch auto, can return 40mpg. 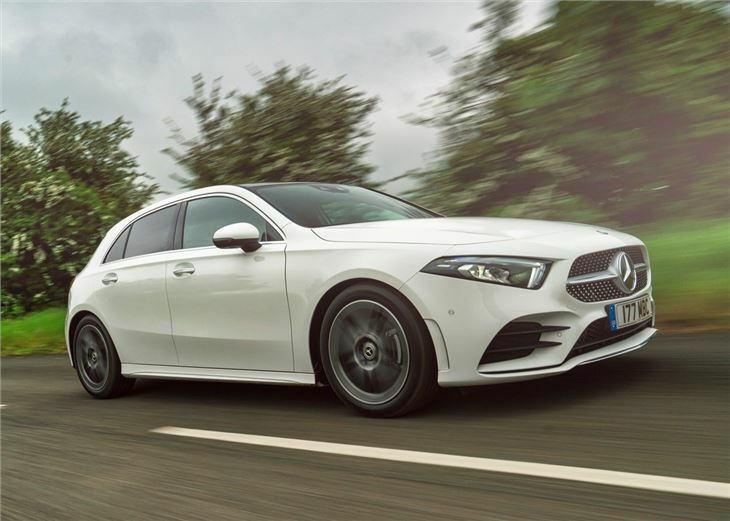 As well as all-new mechanical underpinnings, the A-Class boasts an array of semi-autonomous tech that allows it to effectively drive itself under human supervision. Operated by a system of radar and cameras, the A-Class is able to control its speed, change lanes and read traffic signs. It also performs a full automatic emergency stop if required and applies the brakes if it detects a rear-end impact. 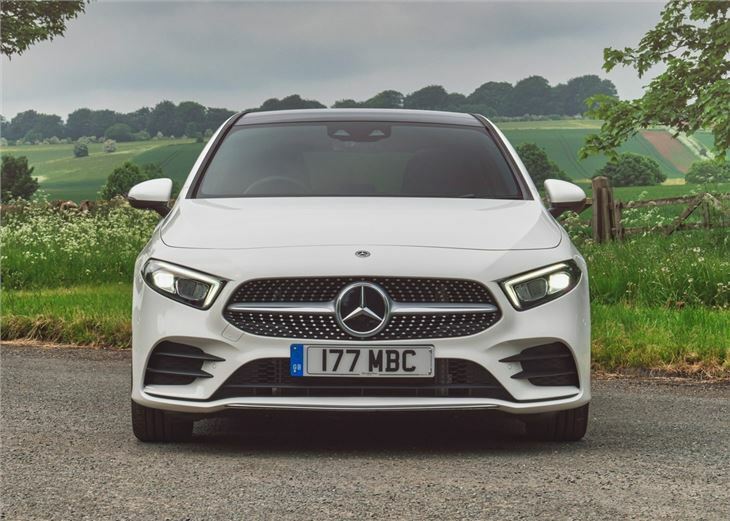 Although the new A-Class might not look much different to its predecessor, it's a huge improvement in terms of the interior and how well it drives. Most buyers will go for the A180d and that's a fine choice, although the petrol engines are equally good. What's ultra-impressive is the technology on offer - although in true premium German car style, you'll have to be prepared to spend money on extras.